Houston, TX is expecting a power supply issue this summer with the closure of several coal power plants. NFPA 850 outlines the fire protection recommendations for most power plants. We dive into gas-fired, coal-fired, combined-cycle, and bio-diesel power plant fire protection needs in this NFPA 850 quick guide. Facebook has signed an agreement for 80MW of solar with a virtual power purchase agreement (VPPA) to support energy goals for a new data center. F.E. Moran Special Hazard Systems had two projects featured in ENR’s best photo contest. Learn how renewable energy has become the cheapest form of energy. By 2033, coal power will be more expensive than renewable energy 96% of the time. Learn the hazards that coal-fired power plants face and the fire protection needed. A UK energy company is exiting coal and gas generation in favor of renewable energy. Learn more about the fire hazards hidden in gas-fired power plants. This article will explain the hazards and associated fire protection that will mitigate them. A gas-fired power plant is shut down due to Hurricane Florence. The hurricane caused flooding that allowed waste from the former coal fired power plant to contaminate the river. Learn how drones are being used in the utility industry to streamline processes and improve productivity. Coal dust is a major cause of coal-fired power plant explosions. Learn how to mitigate coal dust and lessen the chances of a fire or explosion. F.E. Moran Special Hazard Systems shares their success with the Indianapolis Power and Light Company power plant conversion and fire protection. Crescent Dunes Solar Power Plant is Changing the Industry, Here's How. F.E. Moran Special Hazard Systems is proud to be providing fire protection for Crescent Dunes, NV solar power plant. Crescent Dunes has a revolutionary technology that makes solar power more accessible to households. During peak time, they provide energy to 75,000 homes with no fossil fuel. How do they use 0 fossil fuels? 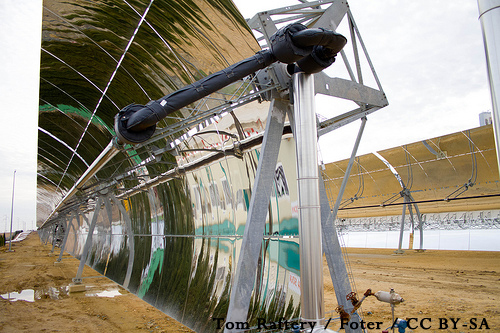 This solar power plant uses concentrated solar power (CSP). A system of mirrors concentrates the solar energy. Crescent Dunes then uses salt to capture the energy and store it. The salt storage allows the energy captured from the sun to be used 24 hours a day. Cold salt is stored near a central receiver tower that is located in the center of 10,347 tracking heliostats. The salt collects the heat, which can reach 1,000 degrees. Once the salt collects the heat, it is pumped to a hot salt tank. The hot salt tank acts like a battery, preserving the heat for 16 hours. Molten salt is vastly better than batteries. Salt is less expensive than batteries. It lasts for 40+ years. Lastly, salt doesn't degrade or need replaced. The molten salt generates steam, which drives the turbine and creates electricity. Using molten salt in solar power plants is getting cheaper and cheaper. In 2009 it cost almost $1 billion, and now the price to build a solar plant with this technology is half that. SolarReserve is building another plant in Chile, and it will be less than 5 cents/kWh, whereas Crescent Dunes was 13.5 cents/kWh in 2009. 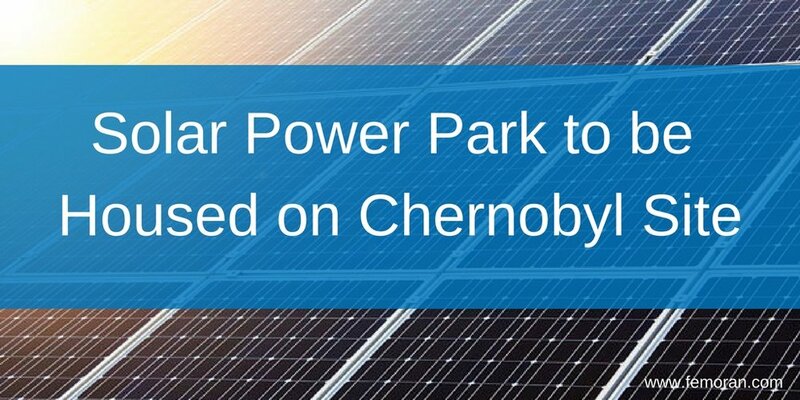 In 2016, Chernobyl announced that it was going to be transformed into a solar power plant. This site is not safe for life for tens of thousands of years after the Chernobyl disaster. Turning it into a solar power plant park makes perfect sense. The solar plant is set to be completed soon and will produce 1 MW of power, enough to supply power to a mid-sized village. There are talks to quickly expand this plant to get it to 2 gigawatts of power, which would power 750,000 households. Solar power is being used more and more often. It's becoming cheaper and more accessible. It doesn't pollute the environment and works well. Solar power has helped bring energy to many places suffering from a shortage, such as South Australia. Currently, Australia is the home to the largest solar power plant in the world. "The significance of solar thermal generation lies in its ability to provide energy virtually on demand through the use of thermal energy storage to store heat for running the power turbines," said Wasim Saman, University of South Australia Professor of Sustainable Energy Engineering. Cooling towers have an environment that makes fire sprinklers vulnerable to decay and failure. However, cooling towers have fire hazards throughout the building. PVC fill, FRP walls, fan stacks, fan decks, fan blades, louvers, partitions, and catch basins catch on fire regularly. You can see a cooling tower fire in the video below. There are very real hazards in these facility types. Below you will find our most popular cooling tower articles to better understand the environment, risks, and how to keep your fire sprinklers working properly. Learn the causes of pipe deterioration in cooling towers. See a YouTube video of what MIC can do to a cooling tower. Learn the fire hazards in each section of a gas-fired power plant, including detailed hazards in cooling towers (+ a hazard diagram!). What are you biggest questions about cooling towers? Comment below and let us know. It may become our next blog post. The power grid in South Australia now has a giant Tesla battery. 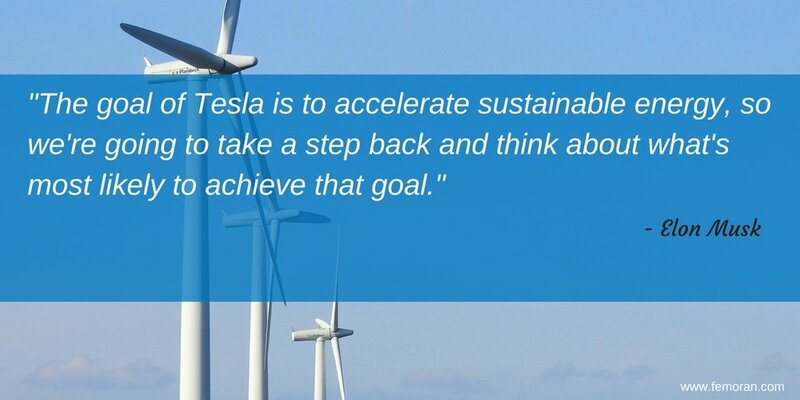 As a reminder, on March 9, Elon Musk tweeted that he would deliver 100MWh of energy storage to South Australia in 100 days. He made good on that promise, and finished the job in 63 days. "This is history in the making," said South Australia Premier Jay Weatherill. The battery system is sitting next to wind turbines at the Horndale Power Reserve. "South Australia is now leading the world in dispatchable renewable energy, delivered to homes and businesses 24/7." The battery can store enough energy to supply energy to 30,000 homes for more than an hour. The main reason South Australia was seeking out this technology is that they need stability for the South Australia electrical grid. The Tesla batteries were successful in testing, and were used a day earlier than planned. Temperatures were over 100 degrees, so the Tesla energy storage was tapped to make up the energy needed for air conditioning. South Australia's taxpayers will be paying $50 million over 10 years to subsidize the cost to operate. Related articles about sustainable energy. A Swedish power plant is working to eliminate fossil fuels by 2020. To get to this goal, they have started burning recycled wood and garbage - including rejected clothing from H&M warehouses. "For us, it's burnable material. Our goal is to use only renewable and recycled fuels," said Jens Neren, head of fuel supplies at Malarenergi AB. This plant has burned 15 tons of rejected clothing from H&M warehouses in 2017. However, the plant burns about 400,000 tons of trash to make fuel in a year and supplies 150,000 households with energy. The Head of Communications for H&M, Johanna Dahl said, "It is our legal obligation to make sure that clothes that contain mold or do not comply with our strict restrictions on chemicals are destroyed. 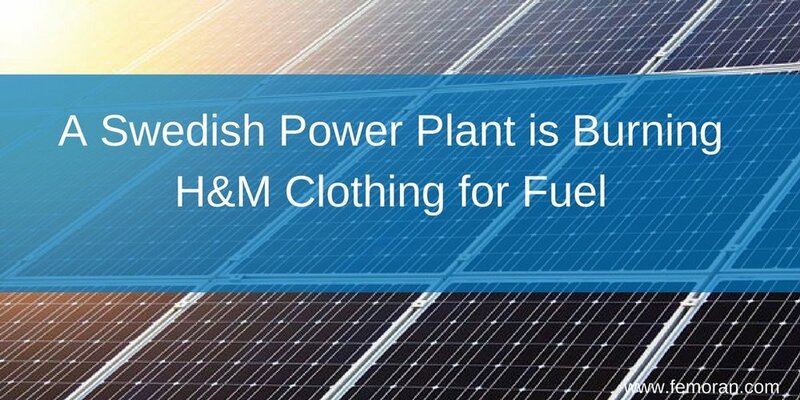 H&M does not burn [for fuel] any clothes that are safe to use." Renewable energy is constantly replenished and will never run out. Power plants that utilize these resources over fossil fuels are choosing not to use sources like coal, oil, or natural gas that cannot replenish. 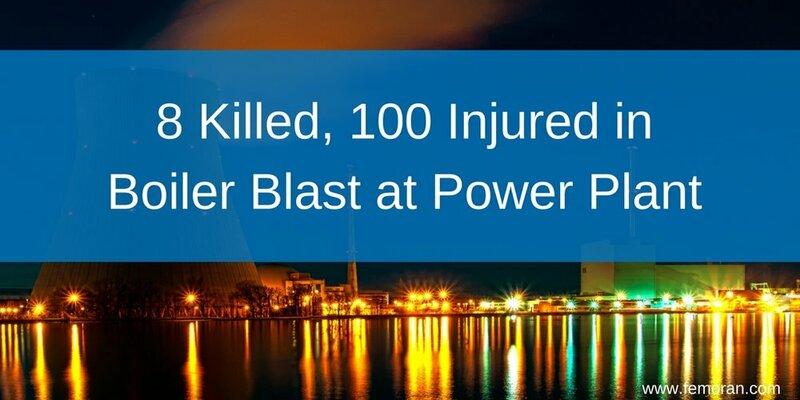 New Delhi -- A boiler exploded at the NTPC Power Plant in Uttar Pradesh and killed eight people and injured 100 people. The number of dead and injured may rise. Many of the injured received severe burns. The injured are being treated at the NTPC campus hospital and another local hospital. The worst burn injuries were taken to Lucknow hospitals. The NTPC Power Plant had 5 units with 210 MW each. The power plant started generating power in 1988. A 6th unit was commissioned with 500 MW to be completed this year. It is believed that the pipe burst at the 6th unit. Get the latest news on the power plant fire here. How do you protect boilers in power plants? Find out here. In London's underground is a massive "fatberg" that is 130 tons and blocking the sewer system. London has a chronic problem with "fatbergs." While the city usually sends in a sanitation team to remove the fat to send to the landfill, this time they are making use of it. London will be converting the fatberg into 10,000 liters of biodiesel. That is enough biodiesel to run 350 doubledecker buses. Fatbergs form when people pour oils and fats down their drains. When they cool, they harden and block pipes. Since the beginning of September, high-powered jets have been working to break down the fats. The fats will then be sucked up from the sewer. The fats will be transported to a specialist plant that will convert it to bio-diesel. Thames Water is working with Argent Energy on this project. Alex Saunders, Waste Network Manager at Thames Water said, "We have a problem with fatbergs, both in sewer networks and at our sewage treatment works. Previously, we've either extracted the fatberg out of the pipes and sent it to landfill, or broken it down and put it back through the sewage treatment process. Even though they are our worst enemy, and we want them dead completely, bringing fatbergs back to life when we do find them in the form of biodiesel is afar better solution." See a fatberg up close on this clip from BBC Earth.